Shire Country Services are Paddock Maintenance Specialists. Equestrian clients are at the core of our ever expanding business. We aim to maintain your grassland whether small paddocks or larger fields, in optimum condition in an affordable, timely and sympathetic manner. We use modern, compact and powerful machinery which when running on turf tyres leaves minimal ruts or tread marks in even the wettest of conditions. The tractors are transported to each location using 4×4 vehicles and trailer, minimising time on the road and maximising the number of clients we can visit each day. After over 8 seasons of paddock maintenance, we now have a large number of clients all over Yorkshire and the North East. We provide a wide range of services throughout the year aswell as offering advice on an individual basis so you can then decide what is the best plan for your land. 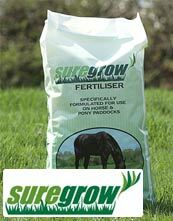 Good grazing is the most cost effective source of equine forage. Investing in your grassland will to save you money on your feed bills.